Burrying waste at the Go Cat dump ground. 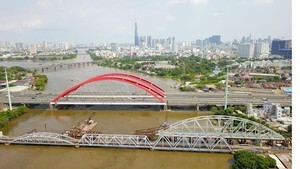 The Ho Chi Minh City People's Committee has instructed the Department of Natural Resources and Environment (DNRE) to facilitate an initiative to encourage investors to implement waste treatment projects to clean up the city and reap profits. Waste is a big issue in Ho Chi Minh City, but using waste to generate energy is becoming and increasingly popular trend. The city has several “green” waste treatment facilities and is seeking more by granting incentives and benefits to investors, both foreign and local, who wish to invest in projects to convert waste to energy in an environmentally friendly way. In line with the Kyoto Protocol, the initiative aims to create and sell clean products to reduce pollution in the city. Both local and foreign investors can invest in the clean waste disposal and transformation projects in the city, providing that they meet the following criteria. Foreign investors need to have 20 percent of the total investment capital of the project ready. On the other hand, 30 percent is required for domestic investors. The remains have to be under a bank guarantee. In addition, investors must have experience running an urban waste treatment facility with a capacity of 500 tons or per day. If their experience is in industrial waste, then only 200 tons or more per day is required. Applications for the project can be made to the Department of Natural Resources and Environment. The Department will then team up with the Department of Planning and Investment, the Department of Finance, the Department of Science and Technology, the Department of Judiciary and the Department of Industry to choose the investors. Top priority will be given to those capable of building a solid and liquid waste treatment complex to produce gas used to generate electricity. After these priorities, those projects that can produce micro-organic fertilizer in airtight containers, burn waste to generate electricity, produce CH4 and electricity, produce building materials, and building waste dumps will be given next preference. Aside from technology, investors offering low-cost waste treatment and high value recycled products certified by government quality control units will also be favored. The result of applications will be sent to the investors 10 – 15 days after submission. As there are so many requirements, it will be difficult for the Department of Natural Resources and Environment to choose investors for the project. Dozens of local and foreign investors now offer waste treatment projects in Ho Chi Minh City, using different technologies, such as burning and burying. For example, the Tam Sinh Nghia Company can recycle 1,000 tons of plastic per day, transforming it into micro-organic fertilizer. The Singaporean Waste to Energy Company’s treatment turns 500 tons of waste into micro-organic fertilizer per day. The Belgian Keppel Segher project can burn 2,000 tons of waste per day to generate electricity. Meanwhile, the city produces nearly 5,500 tons of garbage per day. So authorities must stick to their standards when choosing investors for Ho Chi Minh City’s waste treatment project, while also ensuring fairness and feasibility. City authorities will lend the chosen investors cleared land for nothing. Infrastructure, including streets, power, and communications, will be built in the area where the waste treatment plan is conducted. The city will be responsible for carrying waste to the plant. If the investors can produce electricity from waste, the authorities will buy at the price of about 4 cent a kilowatt. The Kyoto Protocol to the United Nations Framework Convention on Climate Change is an amendment to the international treaty on climate change, assigning mandatory targets for the reduction of greenhouse gas emissions to signatory nations. The protocol allows developed countries to launch projects on the reduction of greenhouse gas emissions in developing countries. 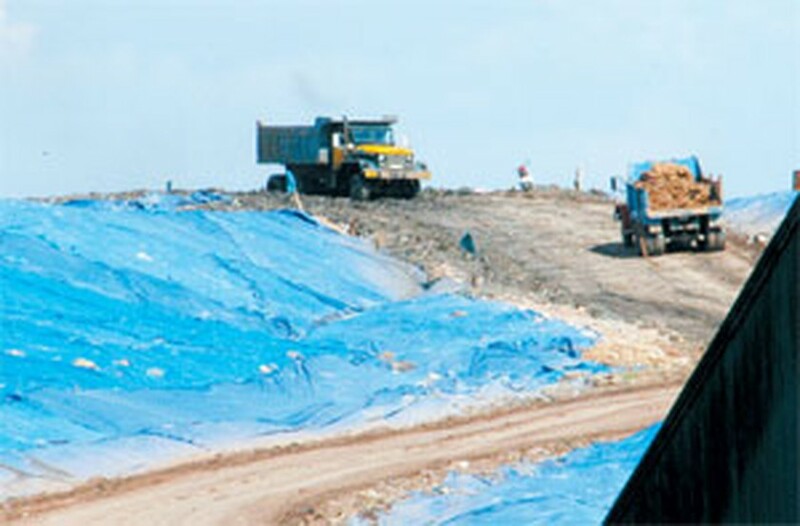 Therefore, dozens of companies from Japan, Korea and Netherlands wish to make investment in reduction of gas emission at two waste dumps in HCM City: Dong Thanh and Phuoc Hiep 1. These projects must be in line with the Kyoto Protocol’s Clean Development Mechanism (CDM), a regulation on implementing international environmental standard requirements. To make investment in waste treatment projects under the CDM, the investor must pay for everything related to the projects. Besides, those who are equipped with devices made in G8 countries and can produce the largest amount of gas for generating electricity will be chosen. Municipal authorities will encourage investors who already have experience conducting CDM projects at other developing countries in Asia.